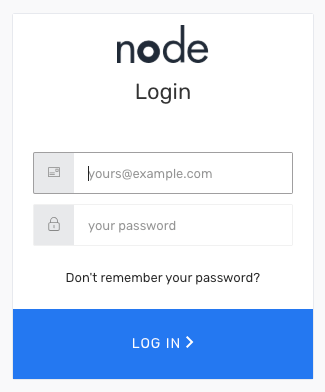 You log in from either the Node webpage or by accessing the Node app straight away. Type your work email address and your password. If you forgot your password, simply click "Don't remember your password" to get a new one. If you're still not able to log in, please contact support.